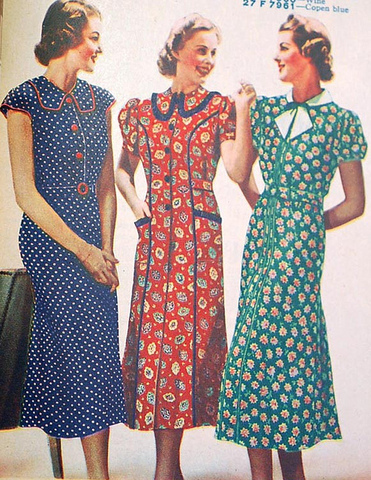 1920 was the decade in which fashion entered the modern era. women ditched the tight, uncomfortable clothes, to more comfortable clothes such as short skirts or trousers. men also abandoned the suits and starting wearing athletic clothing for the first time. the suits men wear today are still based on the suits in the 1920's. Beautiful coordinated and accessorized outfits were a feature of 1920 ladies fashions. Hats, shoes, stockings, handbags, dresses and jewellery all came together in harmony. 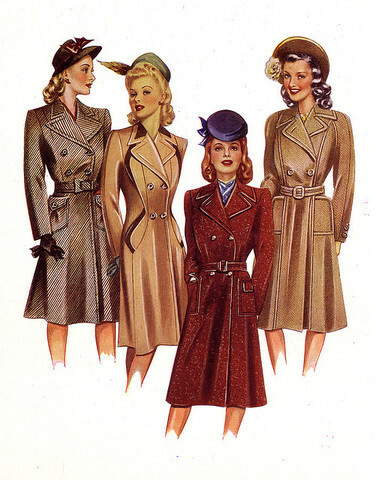 Over the course of the 1930s, there was a general change in the style of women’s fashion from that of the previous decade. The androgynous look worn by women in the 1920s, with short, cropped hair and a flattened boyish silhouette, gradually gave way to a more feminine look. 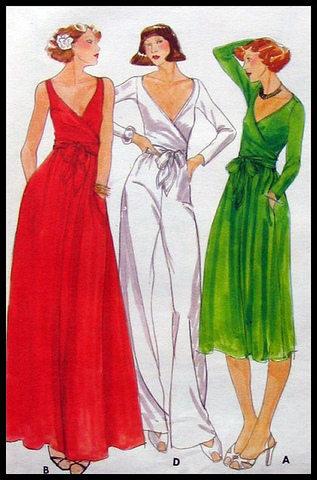 The re-introduction of the natural waist line and longer skirt lengths gave the female form a more elegant and slender look. The New Look debuted via Christian Dior in 1947, sloping shoulders, cinched waists, and wider than wide hips !! With Longer lengths and drastically fuller skirts. Woman’s fashion now changed to a soft, feminine and decidedly romantic image. As a result, ironically, women’s emancipation was stalled somewhat with women being shooed back into the kitchen once more. 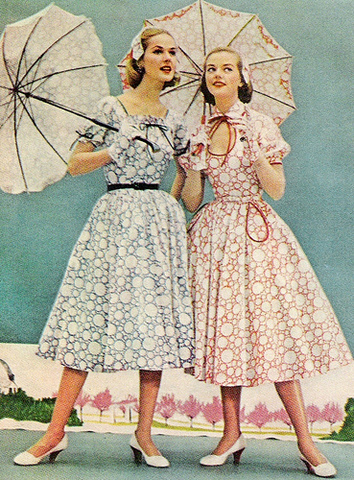 In the 1950's women wore things like trapeze dresses a swinging dress shaped like a triangle, low shoes and bouffant hairstyles. Alot of there clothes were made from nylon, crimplene and orlon. these materials were machine washable and affordable. velvet was popular with tops, suits, dresses and fitted jackets. three quater lenth evening coats were popular as well as fur stoles and evening raps. the 60's got rid of the pastel colours from the 50's and replaced them with bright, vibrant colours. Men's fashion in the 1960's was one of style and progress. It was a style that was elegant and polished. Though this style has changed a lot since those days there are still parts of that style alive today. Before the 1960's the fashion look though sharp was simpler. in the 1970's, flared trousers were very popular for men and women. Platform shoes were in. Average height rose by two inches as men and women tottered on ever bigger stilts Originally about an inch or so high, they quickly grew until hospital emergency rooms were routinely treating people for twisted or broken ankles caused by these skyscraping beasts. 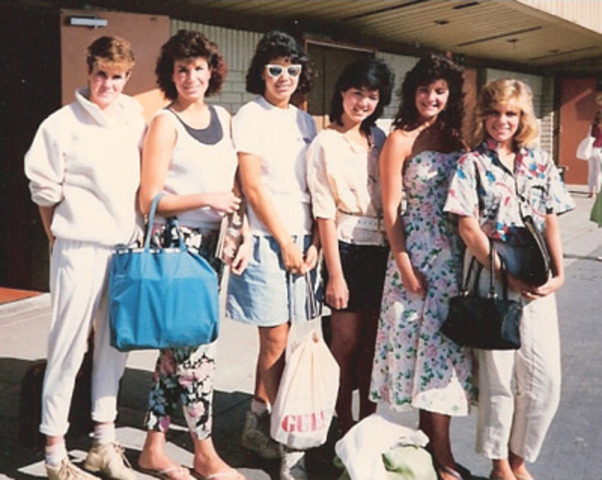 Eighties fashion for women taught us terms like jelly bracelets, jelly shoes, neon clothing, leg warmers, shoulder pads, and Guess jeans. They also brought back polka dots, Preppie clothes and wedgies – which used to be shoes. Blue jeans and denim were all the rage. 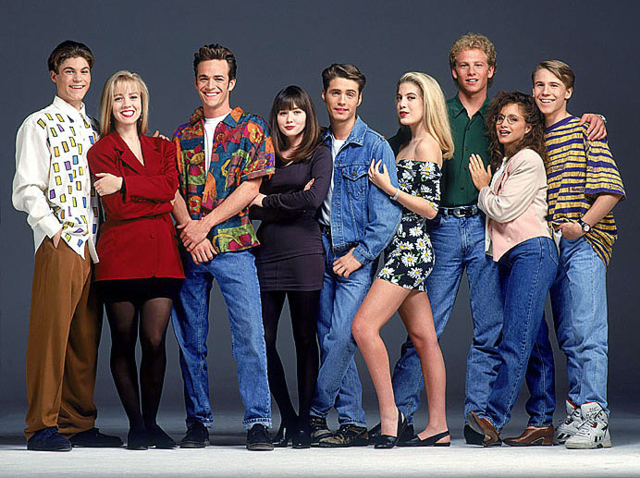 Between trousers for both guys and girls and miniskirts made in denim for girls, it was a daily fashion piece for children in the '90s to wear denim. The style of denim tended to be baggy and loose rather than tight or fitted. In addition to regular jeans, overalls in the denim material were also popular.